Online poker offers players solid payoffs if they know what they are doing. 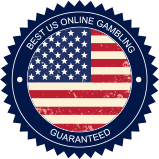 It’s very important that prior to playing any hands online that you under the rules of the game you are playing and that you have had experience in playing the game online. The good news is that many online poker rooms offer a play money mode, where you can sit at a cash table or in a sit and go and practice your technique, sharpen your skills, and get the feel of playing online. If you’re already an avid player at land-based poker rooms that will be helpful, as you’ll be able to use many of the same strategies you utilize in live play. First and foremost remember that poker is a game of skill. Also, you must always consider the fact that there is an element of chance in poker that allows for players to beat the odds, hitting a three, two, or one outer on the turn or river. A hand is never over until the final card is dealt or everyone else folds. A poker player who is able to excel at this game does so because they have a thorough working knowledge of the game. They know the rules, strategies and techniques, they’ve developed the necessary skills, and they possess the experience that will allow them to succeed. The best poker strategy you can employ is to become a savvy player on every level. Here are five essential strategies that winning players know and use. So many beginning poker players know which hole cards are the strongest. They know quite well that two pocket aces give a player better than a 30% chance of winning and that those are the best hole cards anyone can hold. But many players never think beyond those great hole cards and they never consider that someone else could be holding a lesser pair and still beat them by the time the final community card or the rest of their hand is dealt. The power of each poker player fluctuates during each hand, as the community cards are revealed or more cards are dealt. Players must remember this. Sure you can go all-in with pockets Aces or Kings early in the game. But what’s the rush? Why risk everything that early knowing that you could be knocked out by any number of card combinations. Often players who have a strong hand will lay low and let those with weaker hands take control of the betting. This manifests itself in various ways including the check/raise where a player with a superior hand will check and the one with a weaker hand will bet. The person with the superior hand will then come back with a hefty raise, which forces the weaker player to either see it or fold. Use check/raise when appropriate, especially against aggressive players. Don’t make a habit of laying low throughout a hand when you have strong hole cards or that 7-2 could end up beating your pocket kings on the turn or the river. A good poker player will show patience and play only about 20%-30% of their hole cards. They know that playing too many weak hole cards will result in their losing cash that they should simply hold onto for when they have stronger cards. If you’re always playing 40% or more of your hands, you’re seeing too many flops and are probably leaking money at a fairly quick rate. As an example, let’s say you decide to play J, 4, and the flop comes J, 4, 10. You think you’re golden and you bet. Most people in the hand fold but two hang in there. The next card is a Q. You bet again, and again you’re called. The next card is A. You bet, you’re called and then raised. What’s going on? What’s going on is you played J, 4, which are terrible hole cards. One player is holding J, 10 and had you beat from the start with a better two pair, and the other is holding A, K and stuck around for the straight. You were behind all the time due to one player holding J,10 and annihilated on the river by the player with A, K.
You have to consider what other players are playing before you see a flop, and especially after the flop and as other cards are dealt. Fold lousy hole cards unless you can play them in the big blind with no raise on board. How you play any of your cards is entirely up to you. Some players love 2, 6, others 4, 8, and others J, 10. Of those three hole card combinations, J, 10 is the best, as it can result in two potent pair, a full house, or a strong straight. But, when push comes to shove J, 10 is just J, 10 until the flop. If the flop is 8, 8, 4, then chances are it’s garbage and the person with 8, 4 is golden. But what about A, K, a hand with which so many people will push? Remember that it is only A, K and, after the flop it could be a winner, a loser, or an unknown. Certainly play A, K, but don’t overplay it. It’s a common mistake to avoid. The strongest position at the poker table is the button and the weakest is the small blind. The button is the strongest because they are the last one to act in a hand, so they get to see what everyone else does before they make a bet, check, or raise. The closer you are to the button, the stronger your position. Thus, if you have a mediocre/problematic hand, such as Q, 10 unsuited, the closer you are to the button, the better. Many will raise with that hand when they are under the gun, which is a good seven to eight players away from the button. That’s a hand that may look good, but it only has as good a chance of winning as 8, 7 suited. In an early position it should be folded. Strong hole cards can be played in any position, midrange cards played from the middle table position to strong, and weaker cards should be discarded unless in the blind and there’s no raise. Playing percentages is a big part of being a successful online poker player. Knowing your chances of winning a hand as play continues and knowing how much to risk on a raise or when raised is also essential. When in doubt consider the 6% rule. The 6% rule works in this manner. On any given raise, if you have a hand and it has a chance of hitting and winning, let’s say a flush draw after the flop, then play it as long as the bet is not larger than 6% of your stack. Employing this tactic is a good way to begin practicing bankroll management. It’s important to preserve your chips for when you have a solid hand with which you can push. Too many players bet weak hole cards on raises because they have a hunch, the cards are suited, or the numbers on their cards represent their birthdate. These are never good reasons to play weak cards, especially on any type of raise. A smart, seasoned poker player knows that one of the keys to winning is patience. A player who is willing to wait for the right cards, and while doing so is analyzing the play of all others at the table, has a very good chance of winning. Use the strategies on this page to your benefit.